I was so young! Both of my parents were writers and avid readers, so the art was familiar. When I was about five-years-old, I remember sitting at the breakfast table with my mother and reading her the Peanuts comic strip. One morning, she looked at me and said, “What if you made up your own story about Snoopy? Look at the pictures, and without reading the words, tell me what you think they’re saying.” Right then and there, I was bitten by the writing bug! This may sound cliché, but I always knew I would be a writer. While in third grade, I entered a school-wide American Legion essay contest. Grades 1 through 8 participated, so chances of a third-grader winning were slim. However, I took the contest seriously and did the best I could at my first real writing effort. Imagine my surprise when I placed 2nd in the whole school! Oh, who took 1st place, you ask? Yes, that would be my older sister. We had some proud parents that day! I was raised on a farm, so wildlife was just a natural part of every day. My mother used nature to teach lessons and often pointed out creatures to me. As a youngster, I remember watching a spiraling hawk. Quick as a wink, the hawk dove to the ground and when it rose into the sky again, we saw the tail of a field mouse hanging from its talons. I remember feeling sorry for the poor mouse! But my mother said, “That’s an important lesson ... you must always know what’s happening all around you—pay attention to things—there are predators everywhere and if you wait until their shadow falls, it may be too late to run.” My book’s title “Shadow of the Hawk” was born from that lesson. Shadow of the Hawk is my debut novel. I am a lover of all animals, but dogs are my chosen pets. When in doubt about the impact of a scene I’ve written, I will often read it to my dogs. If none of the three pays any attention to me, I rewrite it until I get a few cocked heads and perked ears. Later, I often find that those same passages are also reader favorites. So many writers have influenced me throughout the years, mainly John Steinbeck, Harper Lee, and J.R.R. Tolkien, but easily the most influential of all was Jack London. There are two books: The Grapes of Wrath by John Steinbeck and Call of the Wild by Jack London. Every time I hear critics say, “Said is dead” and should not be used as a dialogue tag, I think of writer Irwin Shaw and the many readers he still has today, and I laugh. 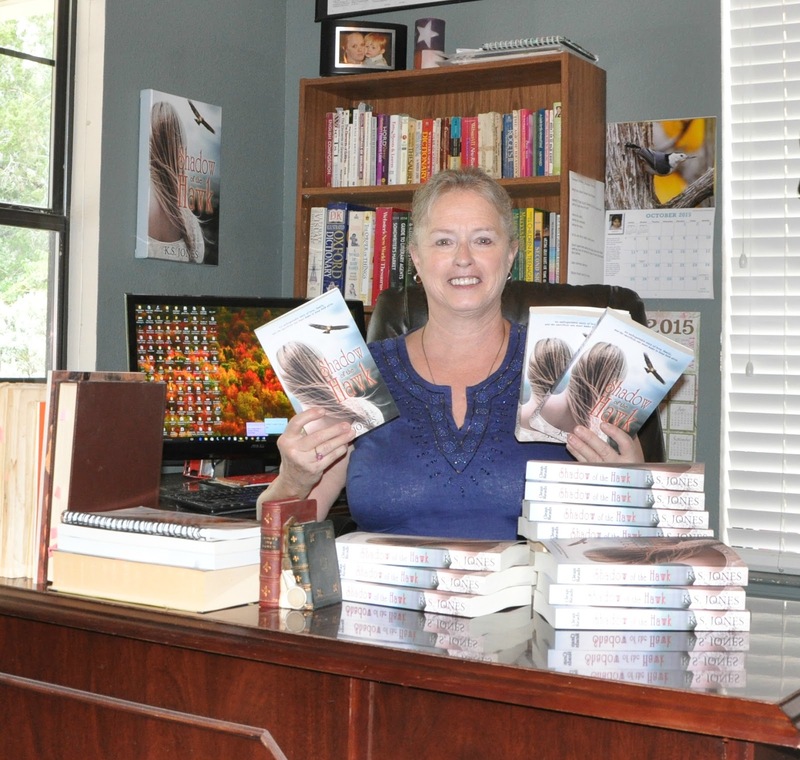 Although I’ve had several magazine articles and stories published, some winning awards, my proudest accomplishment is my debut novel, Shadow of the Hawk, which took fifteen years to research and write. It’s a good thing it’s historical fiction and not contemporary or its contents would be greatly outdated! I am a “rule follower.” Tell me what steps I need to take to meet the submission criteria and I will do it exactly as you’ve asked. I’m not saying that is a good trait, it’s simply the truth about me. The publishing industry stresses the importance of this more than any other industry. Writers hear it all the time, “Follow the guidelines or I’ll hit delete!” Right? Every writer reading this right now is nodding. Because of my staunch “do it right” personality, I can’t tell any writer not to follow the guidelines, but I can honestly say from my own experience, I was precise every time, yet the good only came when I broke a few rules. I never wavered from being courteous and professional, but when I wiped the slate clean of the rules and followed my own common sense, I soon had three contract offers—all within one week’s time. Okay, this is really going to sound like a setup! In all honesty, my biggest success has come from winning awards. Self-publishing and the small press explosion have made readers leery of trusting an unknown author. It’s the old “one bad apple” adage—a reader buys a book by a self-published scribbler, which is poorly written and unedited, and suddenly word spreads that all self-published/small press books are bad. Buyers fear wasting their hard-earned dollars on what they perceive to be a ruse. One way to calm their fears is to offer an award-winning book. When your book competes against hundreds of others and rises to the top, trust follows. Yes! I have a few more books that will be coming out soon. The next two are middle-grade fantasy, and then shortly thereafter, another historical romance will be ready for its unveiling! 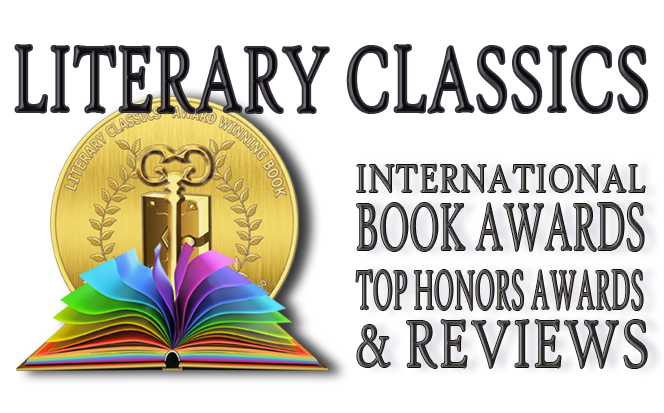 Thank you so much for highlighting SHADOW OF THE HAWK, which now holds the great distinction of being a Literary Classics award-winner!